Bills payable book is used to record bill accepted by us. When a bill drawn by our creditor is accepted particulars of the same are recorded in this book. In the ledger, the account of each person whose bill has been accepted is debited with the amount of the bill. The monthly total of the bills accepted is credited to the bills payable account ledger.
" 20 gave acceptance at 2 m/d for $500 to Kamal.
" 30 Acceptance at 1 m/d for $ 500 given to Feroz & Co.
Cash book is a book in which all transactions relating to cash receipts and cash payments are recorded. It starts with the cash or bank balances at the beginning of the period. Generally, it is made on monthly basis. This is a very popular book and is maintained by all organizations, big or small, profit or not-for-profit. It serves the purpose of both journal as well as the ledger (cash) account. It is also called the book of original entry. 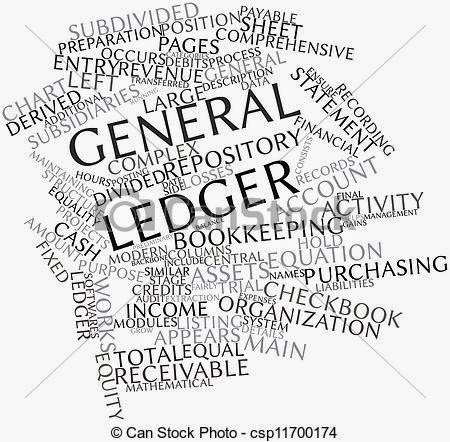 When a cashbook is maintained, transactions of cash are not recorded in the journal, and no separate account for cash or bank is required in the ledger. In this type of cash book, there are two columns of amount on each side of the cash book. In fact, now-a-days bank transactions are very large in number. In many organizations, as far as possible, all receipts and payments are affected through bank. A businessman generally opens a current account with a bank. Bank, do not allow any interest on the balance in current account but charge a small amount, called incidental charges, for the services rendered. Sales return book is used to record all returns of goods by the customers to the business. The entries in the sales return book are usually on the basis of debit notes issued by the customers or credit notes issued to the customers. This book is used to record all returns of goods by the business to the suppliers. The entries in the Purchases Returns Book are usually made on the basis of debit note issued to the suppliers or credit note received from the suppliers. We call it a debit note because the party’s (supplier) account is debited with the amount written in this note. The same note is termed as credit note from the receiving party’s point of view because he will credit the account of the party from whom he has received the note together with goods. The flow of notes is as follows. Purchases book also known as Bought Day Book is used to record all credit purchases of goods which are meant for resale in the business. Cash purchases of goods, cash and credit purchases of assets are not entered in this book. Particulars Column – This column includes the name of the seller and the particulars of goods purchased. Inward Invoice No. Column – Reveals the serial number of the inward invoice. LF. Column – This column shows the page number of the suppliers account in the ledger accounts. Details Column – Reveals the amount of goods purchased and the amount of trade discount. Total Column – This column represents the net price of the goods, i.e., the amount which is payable to the creditors after adjusting discount and expenses if any. Remarks Column – Contains any extra information. At the end of each month, the purchase book is totaled. The total shows the total amount of goods or materials purchased on credit. The difference between total debits and the total credits of an account is balance. As shown above many accounts have entries on their debit as well as credit side. The net result of such debits and credits in an account is the balance. The writing of the difference between the amount columns of the two sides in the lighter (smaller total) side, so that the grand totals of the two sides become equal is called balancing. While balancing an account three things may happen depending upon the debit total and the credit total. Debit balance results, when debit total is in excess of credit total. It is first recorded on credit side above the total and then entered on the debit side below the total as first item for next period. It is first recorded on the credit side, above the total. Then it is entered on the debit side, below the total, as the first item for the next period. Conversely excess of credit total over the debit total is called the credit balance. It is first written in the debit side, as the last item, above the total. Then it is recorded on the credit side, below the total, as the first item for the next period. Balancing is done periodically, i.e., weekly, monthly, quarterly, half-yearly, or yearly. i. Personal accounts are generally balanced regularly to know the amounts due to the persons (creditors) or due from the persons (debtors). Real accounts are balanced at the end of the financial year, when final accounts are being prepared. Cash account however is frequently balanced to know the cash on hand. Assets accounts always show debit balances and it is the value of the asset owned by business. Nominal Accounts, not to be balanced as they are to be closed by transfer to final accounts. A debit balance in a nominal account indicates that it is an expense or loss. A credit balance in a nominal account indicates that it is an income or gain. Balances in personal and real accounts are shown in the Balance Sheet and the balances in nominal accounts are taken to the Profit and Loss Account. Lets understand procedure to balance the accounts. Find difference between total amount of debit column and credit column. If the debit exceeds credit, enter this difference in the amount column of the credit side, alongwith date of balancing and words “By Balance c/d” (c/d means carried down) in the particulars column. If the credit exceeds the debit , enter this difference in the amount column of the debit side, alongwith date of balancing and words “To Balance c/d” in the particulars column. Enter the date of the beginning of the next period and bring down the debit balance on the debit side along with the words “To Balance b/d” (b/d means brought down) in the particulars column and the credit balance on the credit side along with the words “By balance b/d” in the particulars column. In place of c/d and b/d, the words c/f or c/o (carried forward or carried over) and b/f or b/o (brought forward or brought over) may also be used. When the balance is carried down in the same page, the words c/d and b/d are used, while balance is carried over to the next page, the term c/o and b/o are used. When balance is carried forward to some other page either in same book or some other book, the abbreviations c/f (carried forward) and b/f (brought forward) are used. How would you balance following account in the ledger on March 31,2009? 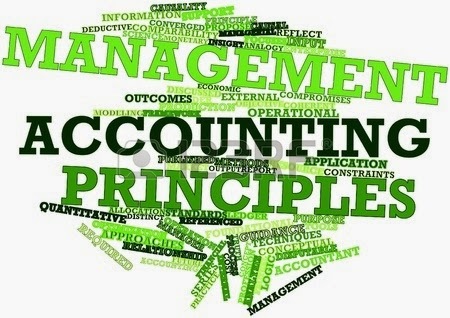 The accounting books in which transaction is recorded for first time from any of above source document are known as books of prime entry or journal because “journal” is one such book where business transactions are recorded in chronological order by following double entry system. It is shown below. Date: Year and month written first and only once till it changes followed by dates in that month. Sequence matters. Particulars: For each transaction two accounts are affected, one account is debited and the other is credited. Account to be debited is written first followed by word “Dr”. Account to be credited is written in the next line which starts with word ‘To’, a few spaces away from the margin. Narration: The transaction is explained briefly in brackets after entering particulars. Ledger Folio (L.F): Entries from this journal are posted to the ledger account sometime later in the day. The folio (page) number of the ledger, where the posting has been made from the Journal is recorded in the L.F column of the Journal. Till such time, this column remains blank. Debit Amount: In this column, the amount of the account being debited is written. Credit Amount: In this column, the amount of the account being credited is written. If you are given a task of making entry (journal entry) into the journal to you, how will you do it? Follow following steps for ‘journalling”. Determine which two accounts are involved in the transaction. Determine which rules are applicable for debit and credit for the above two accounts. Identify which account is to be debited and which account is to be credited. Record the transaction as per convention for date, particular, narration etc. Consider following transactions to be recorded in the journal. 1. August 1, 2009 – Shrikant started business with Rs. 1,00,000. 3. September 7, 2009 – Paid cash to Tushar Rs.37,000. 4. October 7, 2009 – Bought goods for cash Rs. 80,000. 5. december10, 2004 – Cash sales Rs.90,000. 6. January 15, 2004 – Sold goods to Sudeep on credit Rs.1,00,000. 7. January 18, 2009 – Purchased goods from Simrat on credit Rs.1,50,000. 8. February 20, 2009 – Returned goods from Sudeep Rs.5,000. 9. February 25, 2009 – Goods returned to Simrat Rs.7,000. 10. February 27, 2009 – Paid salaries in cash Rs.6,000. 11. March 14, 2009 – Commission received Rs.5,000. The Ledger Folio column indicates 10 against Cash Account which means that Cash Account is found in page 10 in the ledger and this debit of Rs.1, 00,000 to Cash A/c can be seen on that page. Similarly 23 and 24 against Capital A/c and Vijay’s a/c respectively indicates the page number in which these accounts may be found. TRY IT OUT : Record remaining transactions in the above format. In the preceding session we learnt about “Account”. Account is a place to record transactions of similar nature where all debit and credit happen which is an account. All transactions relating to any asset or liability or expense or income are recorded in an account. An account is a record of all business transactions relating to a particular person or asset or liability or expense or income. The place where such a record is maintained is termed as an ‘Account’. Visually an account has two sides viz. the left hand side is for Debit and the right hand side for Credit. Debit is abbreviated as Dr. and Credit Cr. Now let’s see when to fill debit column and when credit column. There are two ways as we have seen in the previous session. 1) Accounting Equation Approach, 2) Traditional Approach. Accounts Whenever there is increase or decrease in one account, there will be equal decrease or increase in another account.